The ‘company’ shall mean New LSF Sarl. ‘The client’ shall mean the person in whose name the booking is made and shall include the person or persons on whose behalf the same is made. ‘Force Majeure’ shall mean any event outside the company’s control which prevents the prompt performance of its obligations, including war and civil strife, etc. ‘Arrival’ shall mean the date of arrival in Montpellier. Juniors: Where accommodation is shown for one week, this means 7 nights from Saturday to Saturday or Sunday to Sunday, unless otherwise indicated. However, if the client spends less than 7 nights in the accommodation in any particular week, they will not receive any discount. For arrival or departure dates (not on Saturdays or Sundays), a supplement may be payable. Adults: Accommodation is shown for the exact number of nights during the stay, this normally means from Sunday to Saturday, unless otherwise indicated. For arrival or departure dates (not on Saturdays or Sundays), a supplement may be payable. Juniors: Course materials and airport transfers for host family students, and the cost of activities and excursions are included in the price; airport transfers for residential students are payable. Adults: Examination fees, airport transfers, and the cost of activities and excursions are not included except where specifically stated; course materials are included. The company will not refund any monies for a client who applies for a course requiring a specific level and is then found to be unable to join the course after the initial level test. In this case, the client will be offered a suitable alternative by the company and any difference in price (if the alternative course is less expensive) will be refunded by the company. In some cases where there are insufficient numbers to run a group class, a reduced number of individual classes may be offered (eg 20 hours group lessons becomes 10 hours One-to-One lessons). Where a course takes place during a public holiday, no lessons will take place on that day and no reduction in price will be given except where specifically stated. For adults, individual and group classes are usually rescheduled (but not always), and it is the student’s responsibility to attend these rescheduled classes. For juniors, there will be no lessons on a public holiday, but a normal activity programme will take place on public holidays. Please consult the list of public holidays shown in the company literature (although it is the agent’s responsibility to check these since they are often subject to change). No contract is made between the company and the client and no booking is valid until the company has issued a confirmation invoice by post, fax or e-mail. (An e-mail acknowledging receipt of an order does not constitute a confirmation invoice.) The company will issue this confirmation invoice after it has received a completed booking form and any registration fees due from the client. If the full balance of the holiday price is not received in the company’s bank account by the due date shown on the initial confirmation/invoice (4 weeks prior to departure), the company reserves the right to cancel the client’s booking and to impose the cancellation charges, stated below. In the case of late bookings the client should pay as soon as the confirmation invoice is received. Failure to do so could result in the withdrawal of services during the client’s stay. Cheque in EUR (€) drawn on a € bank account in France, payable to LSF and sent to LSF at the address below. Bank transfer in €. Bank charges must be paid in advance by the sender. 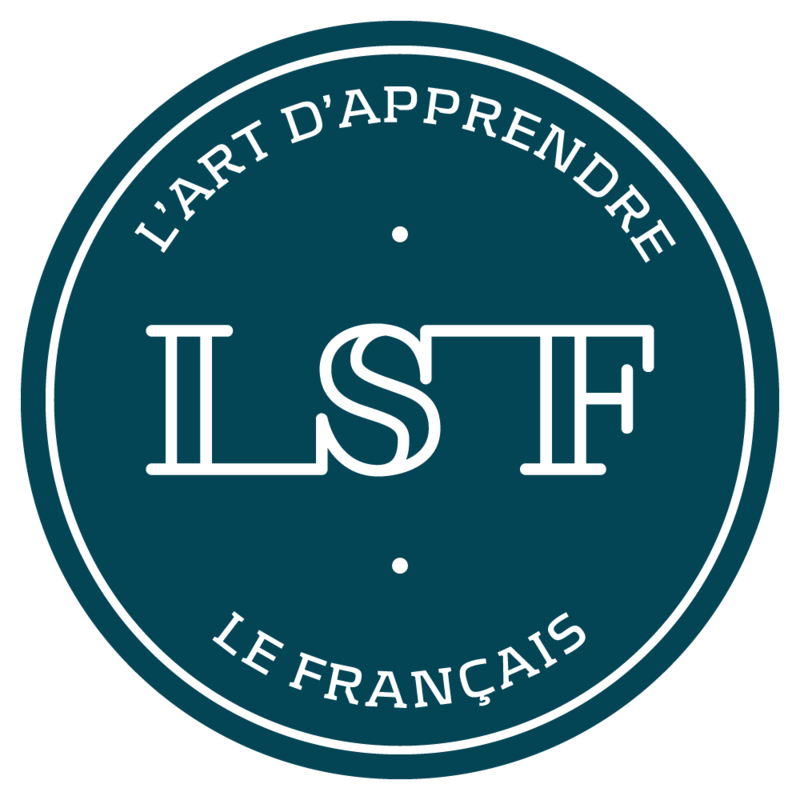 Please send a copy of the transfer document to LSF. If the client wishes to cancel their booking this must be done in writing by the person who signed the booking form or who made the online order. The date of cancellation will be taken as the date that the company receives the letter or email at the address shown below. 32 or more days before arrival = full refund of the total fees, except the registration fee. 31-15 days before arrival = refund of 50% of the total fees, except the registration fee. 14-1 day before arrival = refund of 25% of the total fees, except the registration fee. Where a client has made a reasonable attempt to obtain a visa for the destination country within a reasonable time- scale but is unable to obtain the visa, all money and deposits will be returned subject to a €80 administration charge on receipt of written confirmation from the relevant consulate detailing the visa rejection (only original documents will be accepted). Notification of visa rejection must be made to the company in writing (or e-mail) at least 2 weeks before the start date of the course or accommodation booking. In the case of cancellation, LSF will reimburse the client by credit card only with a handling charge of 2.5% of the total amount invoiced. Reimbursement will be made no later than one month after the date of cancellation notified to LSF. It is the client’s responsibility to claim any insurance monies due as the company cannot claim on behalf of the client, which is why insurance should always be taken out prior to booking. The prices are valid for courses but are subject to change at any time (once a deposit or full payment is made, the prices will not change). Language courses in France are subject to Sales Tax (TVA) and this will be added to your invoice. The company will do its utmost to provide the arrangements that have been confirmed, but it reserves the right to modify or cancel any accommodation or itinerary if unforeseen circumstances arise. If the company cancels or significantly alters an essential element of the client’s holiday for reasons of force majeure, on or before the date when the payment of the balance becomes due, the company shall inform the client as soon as possible and shall offer them the choice of an alternative holiday date or a full refund. If force majeure occurs while the holiday is in progress, the company will try to make reasonable alternative arrangements. The company accepts responsibility for ensuring that all parts of the holiday are supplied as described and that all services shall reach a reasonable standard. However the company shall not be liable for the failure or improper performance of those services where such failure or improper performance is attributable to a) the fault of the client, b) the unforeseeable or unavoidable actions of an unconnected third party, c) unusual and unforeseeable circumstances beyond the company’s suppliers control, including force majeure (or delay, overbooking or cancellation by an airline, bus, train, car hire or ferry company). The obligations and responsibilities of the company shall also be limited where international conventions in respect of air or sea carriers apply. The company strongly recommends that clients take out suitable travel insurance. If the client wishes to change their booking in any way after the confirmation invoice has been issued, they must inform the company immediately, in writing, and the company reserves the right to charge €50 per person per change to cover the additional administration involved. The company honestly believes that all statements made in its brochure or web-site are factual and correct. Every reasonable effort has been made to describe the facilities and environs and to provide the amenities described. The company cannot therefore be held responsible for any changes that are made after the brochure was produced (up-to- date information can be found on the web-site), nor can the company accept liabilities for happenings outside its reasonable control. The company undertakes to advise the client of any material changes known to it prior to the client’s departure. Any special requests must be advised to the company in writing at least one month before arrival. The company reserves the right to refuse to accept bookings from clients who are not adequately insured against holiday risks. General information is included in the company brochure and the company web-site for help and guidance to the client. Please read it carefully. The contract incorporating these conditions shall be governed by French law and any matters arising out of it shall be subject to the jurisdiction of the Courts of France. The personal details of clients (all the details provided to us at the time of making an enquiry or an order including e- mail address) will be collected and stored in the company’s database for the purposes of communication (in the case of an order) and our own marketing purposes. These details are not processed by third parties and will not be given to third parties without prior approval. This information is only accessible to company employees and consultants providing freelance services for the company. If a client wants their details removed, please make this request to the address shown below and they will be removed immediately. We hope that our clients will never have any cause for complaint with the services that we offer. However, if this proves to be the case the client must notify the company in writing immediately (using the special complaint forms provided) and at the very latest prior to departure. It is essential that this is done. If not, we at LSF will have been denied the possibility of resolving and investigating matters and cannot be held liable for any subsequent claim. After receiving a complaint, we will reply within one working day if the client is still with us, and within 3 working days in all other cases. We will acknowledge a complaint and inform the client of what action we intend to take and a likely time- scale to resolve the problem.